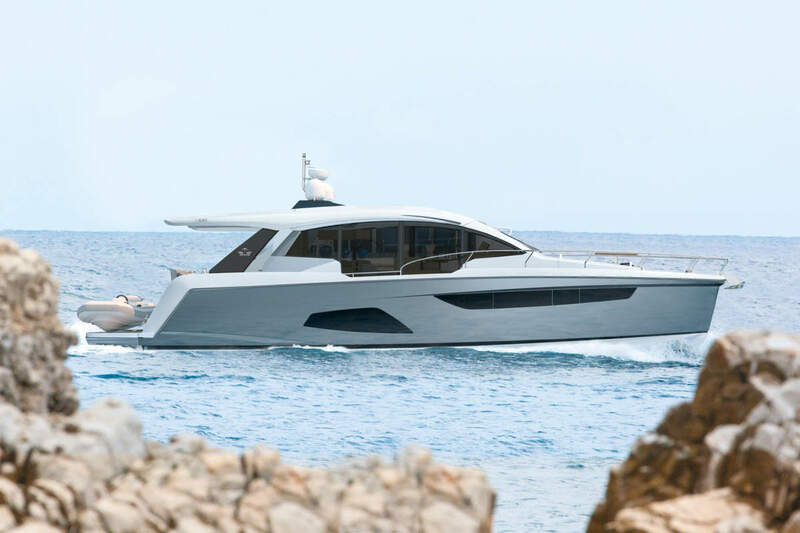 For more than fifty years Carver Yachts, has earned a reputation for designing yachts with spacious and comfortable accommodations that are built to superior construction standards, Carver, as many other manufacturers in the past year, have adopted a new look and innovation across their range with the new 44 as testament to Carvers intent. 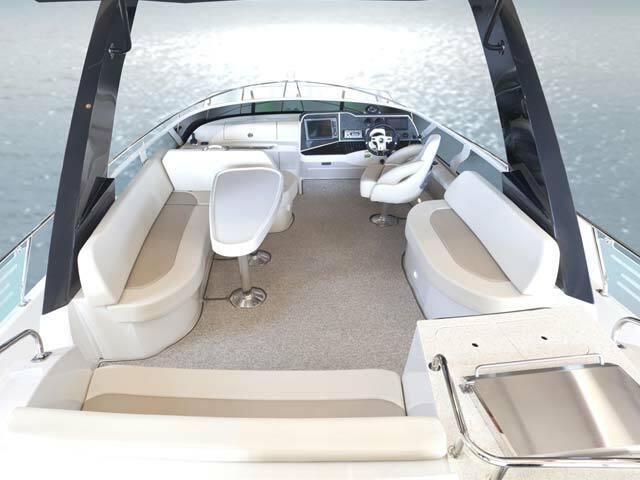 The new 2011 44 combines a roomy bridge together with a striking contemporary interior making this a perfect yacht for combining family, friends and time on the water. The 44 Sojourn is available with the Volvo® IPS joystick controlled drive system for superior fuel efficiency and precise close quarter maneuverability. 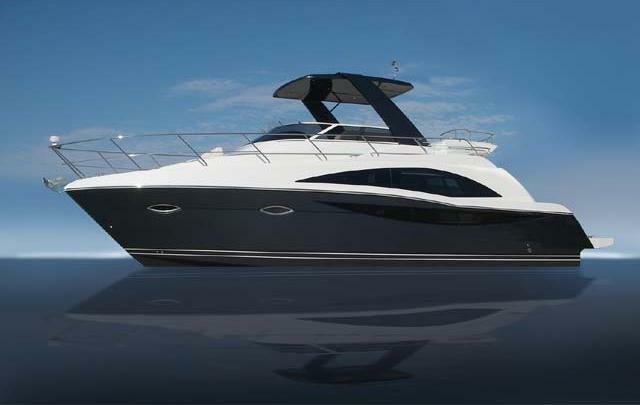 The hull and deck lines of the Carver 44 Sojourn are noticeably different than other yachts. 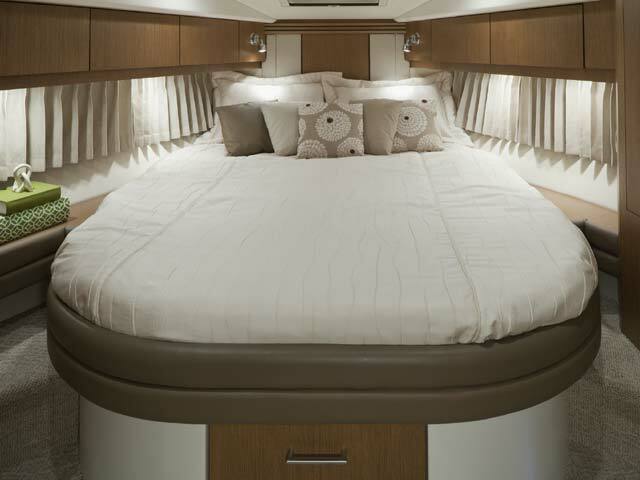 The 44 Sojourn was created with a design directive that established exterior and interior accommodations and efficient utilization of space as high priorities. Nobody does this better than the designers at Carver. 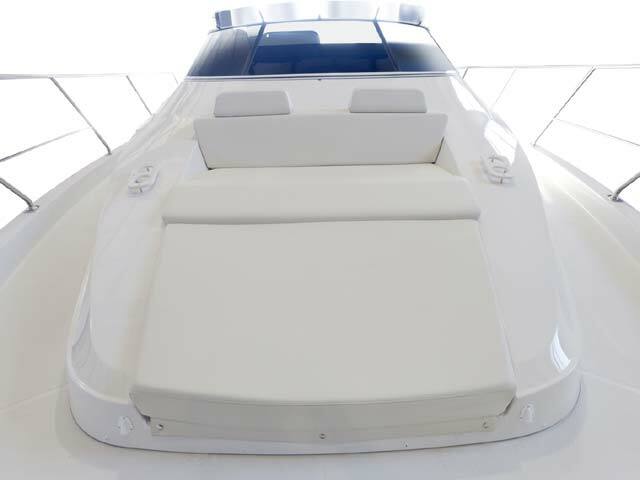 The Carver 44 Sojourn has the most spacious bridge of any boat this size. There is bridge seating for at least 12 people so your guests will be able to enjoy the view from aloft while underway and at dock side. 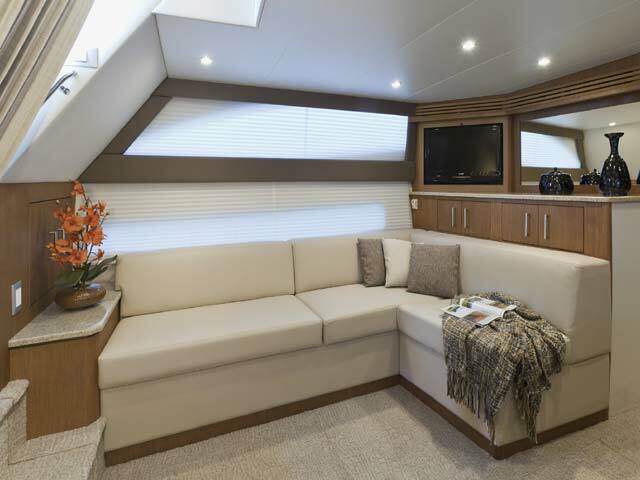 Stepping inside the Carver 44 Sojourn you’ll immediately notice that the galley, salon and cabins are styled around a single-level floor plan with no steps to navigate or hamper ease of movement. The Sojourn is the most contemporary application of this distinctive design feature which Carver has spent years perfecting. 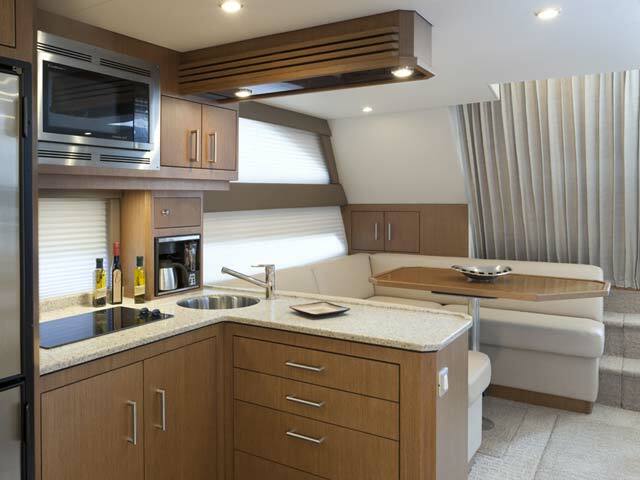 The 2011 Carver 44 Sojourn is new and unique; built with accommodations and features for people who appreciate creative use of space, contemporary styling and fresh new ideas in yacht design. Whether you boat alone, as a couple or as a large group, the Sojourn will accommodate your style of life on the water.